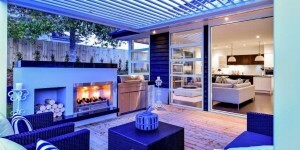 Maximise your outdoor living space with our opening roof system. Create a comfortable, stylish outdoor environment that can be utilized all year round – rain or shine. Adding value to your property at the same time, whether you are building from new or renovating your existing home. All of our roofs are automated, with controls ranging from a basic wall-mounted switch to suit your current style right up to multi channel remote controls and rain sensors. For more information on how we can tailor our systems to suit your requirements click here.